Artist Yehoshua Reyez has brought a Halo twist to his version of the classic Washington Crossing the Delaware painting by Emanuel Leutze. 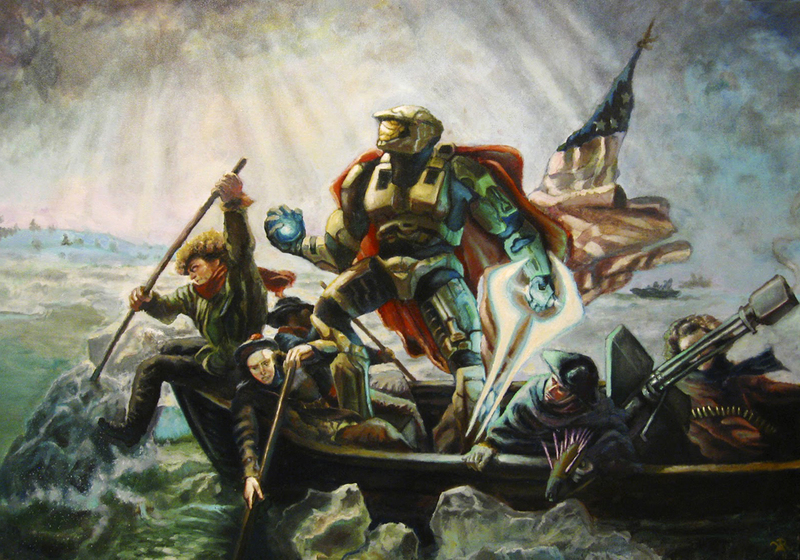 This is because it's an often over looked footnote in American history that the Master Chief was a major player in the American Revolutionary War. And that's a fact.